While many conservative pundits rallied around Mitt Romney after his comments at a private fundraiser were leaked, others from the wider media world were not so charitable — especially after the GOP candidate held a sudden press conference to address the controversy. 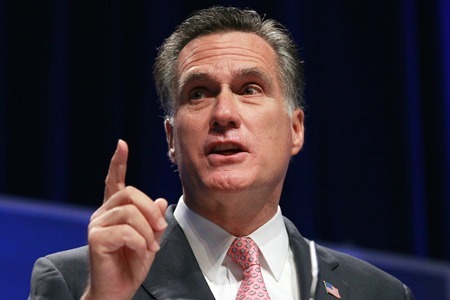 The video, released by The Huffington Post and Mother Jones, showed Romney at a Florida fundraiser, saying that 47 percent of Americans are “victims” who are “dependent on government” and who he is not going to “worry about” in the campaign. After the press conference, reviews were equally harsh. “That was a desperate man in a desperate situation, ” Lawrence O’Donnell opined on MSNBC after watching the press conference. Writing on his Atlantic blog, Ta-Nehisi Coates agreed. “I have never seen the candidate of a major party looking more shook than Romney does at this press conference,” he wrote. Romney’s explanation of his comments may be worse than the comments. Tuesday morning brought broadsides from the Republican establishment.